Over the years, King of Prussia has become a mini metropolis and the hub of Montgomery County. 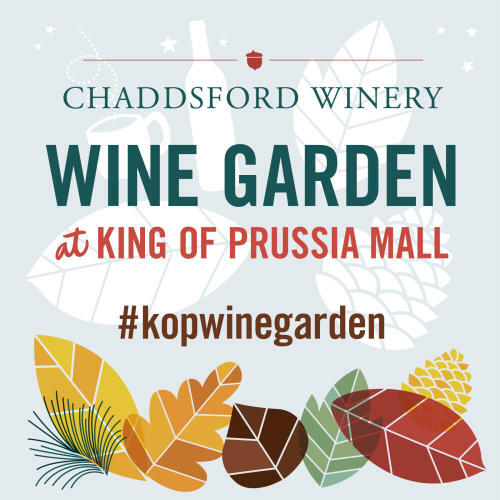 Now, with the opening of Chaddsford Winery’s Pop Up Wine Garden at King of Prussia Mall, one of the best parts of city living is right here in the heart of Montco. The wine garden officially opens on Friday, October 20 and is located outside of the new expansion between Macy&apos;s and Neiman Marcus. The wine garden is an exciting new addition to King of Prussia Mall’s vast expanse of unique shopping outlets. While it comes as an unexpected partnership, Chaddsford Winery has worked with the mall for many years on various projects such as indoor kiosks and Christmas Village at Love Park (Philadelphia). According to the winery’s General Manager, Corey Krejcik, the project is a result of nearly a decade’s worth of work with KOP and events held in Philadelphia. “We approached the mall about three years ago with this idea, right before the expansion project started. 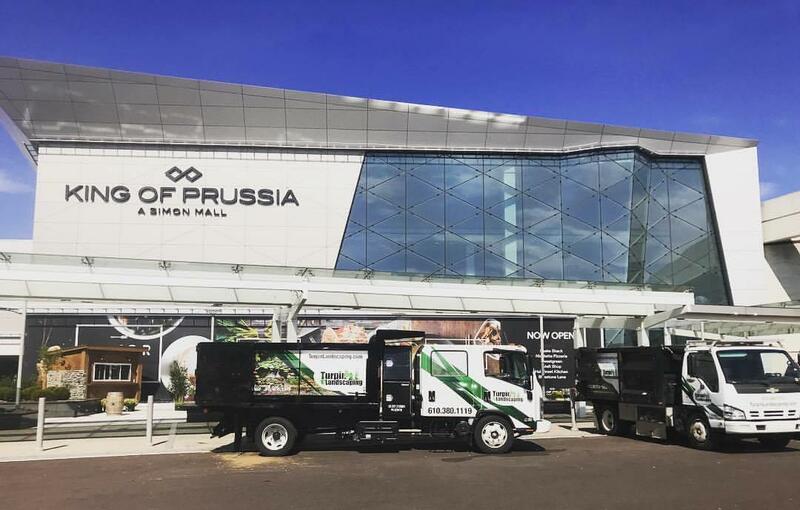 It took until this year for this project to really take shape, but we thought this would work in King of Prussia because it was a great way to marry what we’ve done at the mall in the past and what we’ve been doing in the city for almost ten years,” says Krejcik. The mall seemed like the perfect place for the garden to reside. Foot traffic aside, the benefits for both the mall and the winery are numerous. “Here we have proximity to the winery and, since the mall is a destination, we now have access to a whole different demographic and the ability to expand our fanbase and engage with people in a way we haven’t been able to before,” Krejcik says. Planning for the garden took about five months. Turpin Landscaping was brought on to take the plans off the blueprint and put them onto the pavement. The space has been totally transformed and makes you feel like you’ve stepped onto a peaceful vineyard outside of the bustling mall. The rise of outdoor beer gardens can be seen throughout the Philadelphia region. Over the past decade, outdoor drinking spaces have become wildly popular destinations for people to unwind and have fun. With this new temporary location, Chaddsford Winery aims to bring an experience one normally finds in the city out to the suburbs. The wine garden is already one of the coolest new additions to what you can find in King of Prussia Mall. While it’s great to have a glass of wine around one of the garden’s many fire pits, you can also take a glass with you inside the mall while you shop! Due to the mall and Chaddsford Winery’s long standing and strong partnership, the idea was always a point of conversation during the planning process. The mall is a private property, therefore the OK to allow drinking in the mall was given by property management. “We always take a responsible approach to these types of projects. We have a track record of successes because we know what we want to be, we know what people look for and where they look for it. The idea was very collaborative, though. Once we explained the idea and our goals to our partners at the mall we all worked hard to make sure this was happening,” says Krejcik. As for what you can expect to find at the wine garden itself, Chaddsford Winery’s seasonal mulled wines are available for purchase by the glass or the bottle. Look for about eight to ten different wines for sale at a time. For beer enthusiasts, a rotating list of PA seasonal craft brews will be available throughout the season. The selection ranges from up and coming breweries like Locust Lane (Malvern) and longtime local favorites such as Neshaminy Creek Brewing Co.
Chaddsford Winery’s King of Prussia Pop Up Wine Garden is officially opened for business on Friday, October 20, 2017 and will be open through late December.